Photo courtesy of the Beachwood Police Department. There’s another candy option for Beachwood trick-or-treaters this Friday. According to the Beachwood Police Department, officers will have a “full supply” of Halloween candy in their marked patrol cars on trick-or-treat night. Children should flag down marked police vehicles to get a Halloween treat, which has been donated by the Beachwood/Pine Beach PBA Local 253, a police release said. “This is a great opportunity for our officers to interact with and meet the youth in our community. 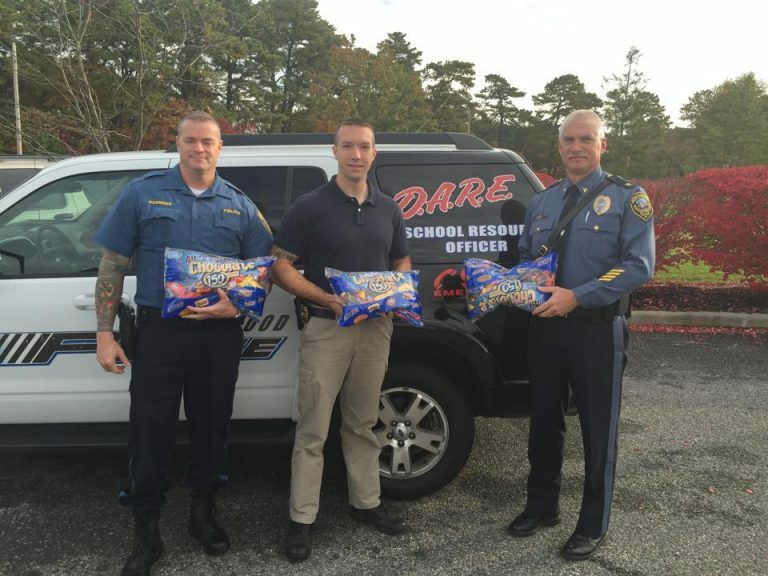 So kids, meet an officer and get a treat,” the release said.